Many people have told me that the version II is a pretty bad puzzle, but I beg to differ. This square 1 has smooth/fast turning, phenomenal corner cutting, and has few popping issues. The stickers are nice as well. The stickers may be nice, but the color scheme is inconsistent. Of course, you can always just remove the caps and rearrange them to get the correct color scheme. The caps might also be loose. Superglue is a good friend. Finally, the small size might be troublesome for people with larger hands, but it's fine for me. 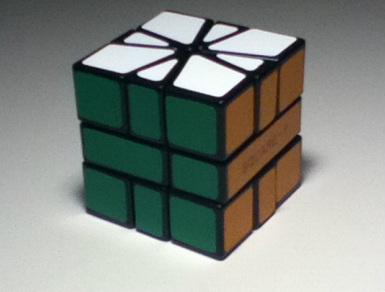 Despite people saying that this cube is not good, I find it to be terrific. I have a hard time imagining that other square-1's are significantly better. I'll have to try some more square-1's out, but for now I definitely recommend it. The cheap price is a good enough reason to pick one up.